You've been diagnosed with an autoimmune condition and told it's just something you'll have to live with. Sound familiar? Did you know that MANY autoimmune conditions can actually be put into remission through diet and lifestyle alone? That's great news! One such way of managing autoimmune conditions is through a very specific diet called the Autoimmune Protocol (AIP). Today we're going to dive into what it is, and how it can help with autoimmune disease. As you know, one of the immune system’s primary roles is to fight infections. Your immune system creates antibodies to bind to substances that it recognizes as foreign, like viruses, bacteria or other chemicals. When antibodies bind to the foreign object (known as an antigen) it signals your immune system to destroy that substance. An autoimmune disease is when the body mistakenly attacks its own tissues, believing them to be a foreign invader. It is believed that some form of systemic inflammation (i.e. chronic inflammation that is more widespread) is at the root of the progression of an autoimmune disease. Therefore, it’s important to look for the cause of the inflammation. I.e. let’s treat the fire, not the smoke. A therapeutic diet we’ve been hearing more and more about in the nutrition/wellness world is the Autoimmune Protocol (AIP), a diet spearheaded by Dr. Sarah Ballantyne. AIP is a specialized version of the Paleo Diet and a form of elimination diet that can offer relief of symptoms and address one of the underlying problems that is often linked to autoimmune disease, namely inflammation and leaky gut, by strengthening the gut lining and soothing inflammation. An example of a food or substance that is eliminated on the AIP is gluten. Research has found that many people with autoimmune disease also have some degree of gluten intolerance - even if it's not Celiac disease. 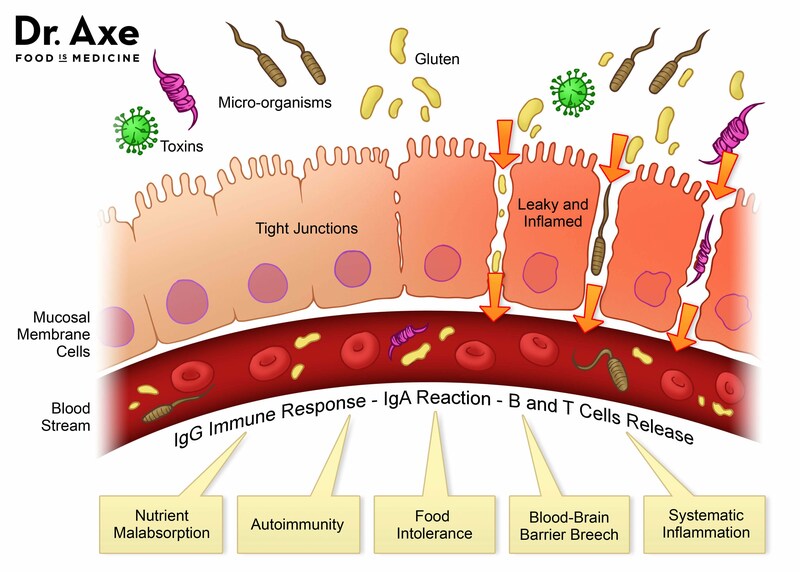 When someone who has impaired digestive function or any degree of gluten sensitivity eats gluten, it can increase the permeability or “leakiness” of the gut. This leakiness enables gluten and other incompletely digested products to pass into the bloodstream to be attacked by your immune system. If unresolved, it creates chronic inflammation that puts your immune system on overdrive and eventually weakens it over time. As mentioned above, it is believed that this is one of the triggers that can lead to autoimmune disease. This is especially true in the case of Hashimoto’s, an autoimmune disease where the body mistakenly attacks the thyroid. The thyroid and gluten have a special relationship because the protein structure of gluten closely resembles the protein structure of the thyroid tissue. If your immune system reacts to gluten and is already over-reactive due to chronic inflammation, it may start erroneously reacting to thyroid tissue as well. In addition to gluten, the AIP calls for the elimination of all foods that may cause inflammation. This includes foods that are generally considered problematic for those with digestive issues, like gluten-containing grains, soy, dairy and processed foods. However, it also eliminates some foods that are certainly good for many people but that have nutrients that may overstimulate the immune system or be inflammatory in certain individuals. These include nightshades, eggs and herbs from seeds like nutmeg, cumin and coriander. Though the guidelines may vary, this essentially leaves non-nightshade vegetables, meat, poultry and seafood (especially gelatin, organ meat and bone broth), coconut products, non-dairy fermented foods, like kombucha, arrowroot starch, green tea, and some herbs, fruit and some honey or maple syrup. In addition to the dietary changes, it also really emphasizes lifestyle factors like stress management, reducing environmental toxins and getting good quality sleep. The AIP diet is intense and can be difficult to follow without proper guidance and specific meal plans, but after the gut has had the chance to heal and symptoms have improved, many of the nutritious foods are reintroduced one at a time to see if they are problematic for the individual or not. That being said, foods like gluten or dairy, which are more closely linked to autoimmune disease, are typically removed permanently. For clients that we have put on the AIP diet, we've provided them with specific recipes and meal plans so that they aren't constantly wondering what the heck they can eat. The AIP protocol typically lasts 4 weeks, plus the reintroduction time. The results I've seen on this diet are incredible - if you’re interested in learning more about it, I encourage you to book a free 30 minute consultation with a Holistic Nutritionist at HEAL. Click here to book a free consultation with one of our Holistic Nutritionists.